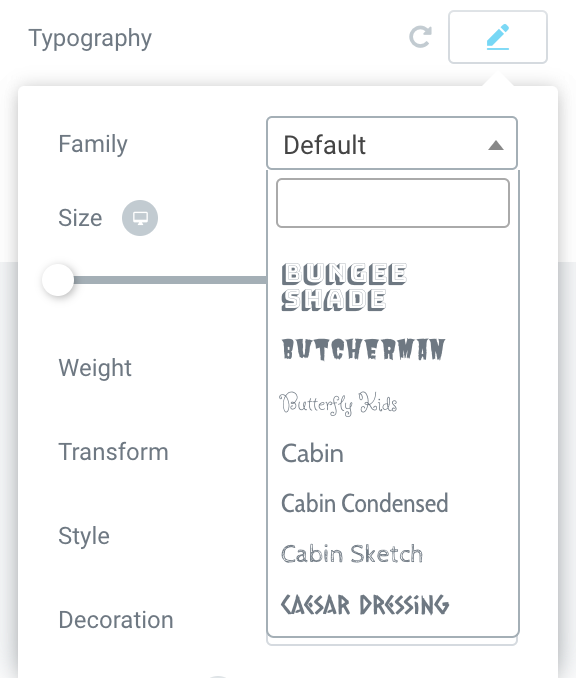 When choosing a font family from any element’s Typography > Family dropdown, each family displays a preview of the font. Notice that the preview only works when scrolling through the fonts. This way all the font previews are not loaded on page load. The previews are only generated upon demand. After selecting a font, only that specific font's resources will load.